A couple weeks ago I had a discussion with President Obama’s New Media team, where we talked about what they might do to reach out to ordinary Ghanaians on his trip next week – which will culminate in his speech in Accra on July 11th. There is a lot of excitement in Africa around Obama, and this trip is going to set the continent humming. 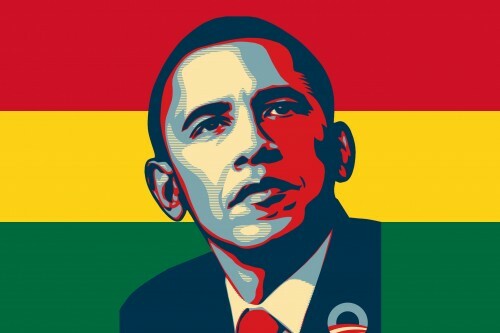 WhiteHouse.gov/Ghana isn’t live yet, but on July 11th, it will become available. They are going to stream the talk at whitehouse.gov/live. It’s a fairly interesting initiative to undertake, with a slew of problems, as you try to engage with as many individuals in an open travel campaign as possible. At the same time, you know that any channel you open up will get absolutely flooded with incoming comments, questions and spam of every sort. In the end, the team decided that Radio, SMS, then Facebook would be the primary new media access points – and in that order. Radio is still the number one communications medium across Africa, and Ghana has a particularly vibrant and active one with a lot of local and national community interaction. Lastly, there are no major homegrown web-based social networks in Ghana, and like many other countries across Africa Facebook has a decent amount of penetration. In Ghana, it’s at 100,000+, so it makes the most sense for the new media team to engage and interact without splitting their energy over too many services. Having Twitter on as a backup is natural, as there will be a great deal of chatter there as well. SMS. Weâ€™re launching an SMS platform to allow citizens to submit questions, comments and words of welcome (in English and in French) . Using a local SMS short code in Ghana (1731) , Nigeria (32969) , South Africa (31958) and Kenya (5683), as well as a long code across the rest of the world*, Africans and citizens worldwide will be encouraged to text their messages to the President. SMS participants will also be able to subscribe to speech highlights in English and French. Long numbers for mobile registration pan-Africa: 61418601934 and 45609910343. This SMS platform is not available to US participants due to the Smith Mundt Act (The act also prohibits domestic distribution of information intended for foreign audiences). Radio. A live audio stream of the President’s speech will be pushed to national and local radio stations during the speech. After the speech, a taped audio recording of the Presidentâ€™s answers to the SMS messages received will be made available to radio stations and websites. The President hopes to answer a variety of questions and comments by topic and region. The audio recording will also be made available for download on White House website and iTunes. Video. The speech will be livestreamed at www.whitehouse.gov/live. The embed code for this video is available so you may also host the livestream on any Website. Online chat. We will host a live web chat around the speech on Facebook (it will be at http://apps.facebook.com/whitehouselive). The White House will also create a Facebook â€œeventâ€ around the speech wherein participants from around the world can engage with one another. A Twitter hashtag (i.e. #obamaghana) will also be created and promoted to consolidate input and reaction around the event. Re the video. Basing aid policy on what works. That would be a good beginning. Along with un-tying aid, taking an asset-based approach, donor coordination, facing/discussing failures, and changing incentives so that staff are rewarded for continuing programs that work â€” rather than getting kudos for starting new ones with the latest and sexiest buzzwords. I’m pretty excited about the Obama visit here to Accra. I’ve seen him twice before in Louisville, KY but never abroad. I’ve heard 1.5 million people are expected for his speech on the 11th. Accra is going to be a madhouse, even if half that number shows up. My question is, how are they planning to advertise the SMS codes? Is it word of mouth or will they start a radio campaign to promote it? Anything to reduce the annoying mobile provider commercials would make my day. Wow that sounds terrific. Hope the telcos don’t charge the premium rates they do for SMS to radio normally. Pretty high: GHC 0.30 abt $0.25 depending on exchange rate. Still we’ve got Facebook too. This visit promises enormous historic and symbolic resonance for America and Africa. Millions are looking forward to it. Besides Obama’s speeches never disappoint. That would have encourage more corruptions and bribery in the continent. I am a Nigerian. When I visited my country, what I saw and experience did not convince me that there will be much improvement in the next 50 years, when it comes to corruptions and briberies . I hope the Government of Nigeria did listen to your speech.